Videogames and music have always made for easy bedfellows. Guitar Hero and its ilk might represent the most obvious meeting point, but music has been a crucial part of games culture since the days of the ZX Spectrum. 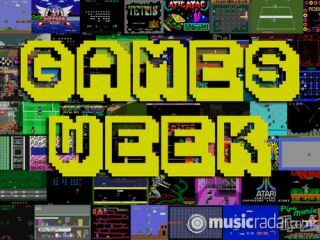 This week, MusicRadar is celebrating this unique and sometimes strange relationship by (among other things) immersing itself in the chiptune scene, exploring the world of games soundtracks and finding out just how easy (or difficult) it is to get your music into Rock Band. We'll even show you how to turn your videogame controller into a MIDI one. Here's what we've got so far - keep checking back here for more. The best 8-bit covers albums in the world… ever!